Stains are delivered in 1000 ml bottles. 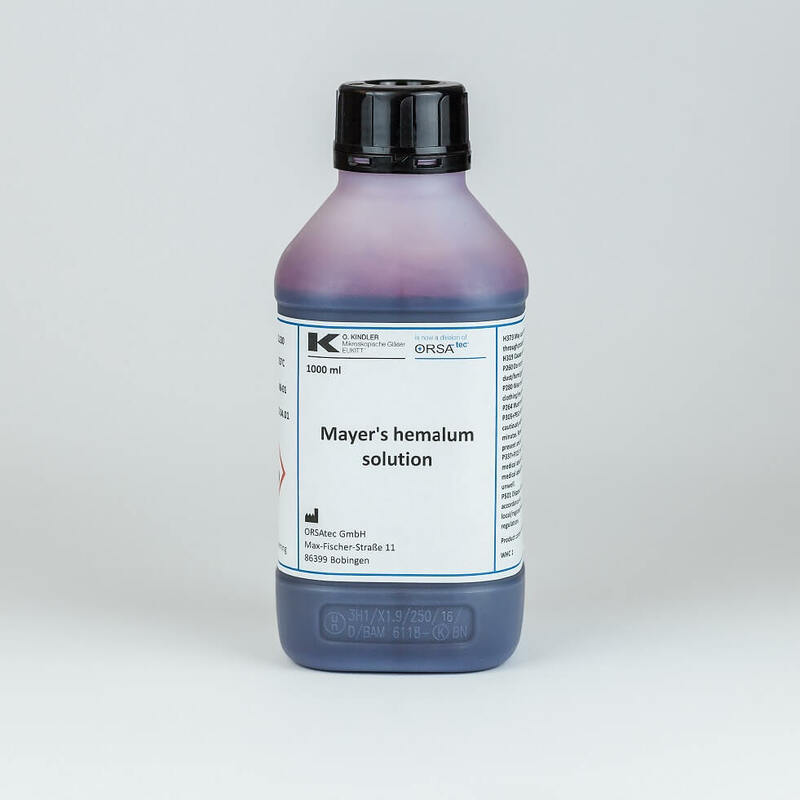 Each bottle is sufficient for 1500 up to 2500 specimens. They are registered as IVD and CE certified products and thus can be used for clinical diagnostics. The cytological staining technique developed by Papanicolaou is still the standard method in cancer and hormone cycle diagnosis. By using the classical Harris' hematoxylin solution (Papanicolaou's solution 1a), excellent nuclear staining can be achieved in 3-5 minutes. Nuclei are stained blue, dark violet to black. 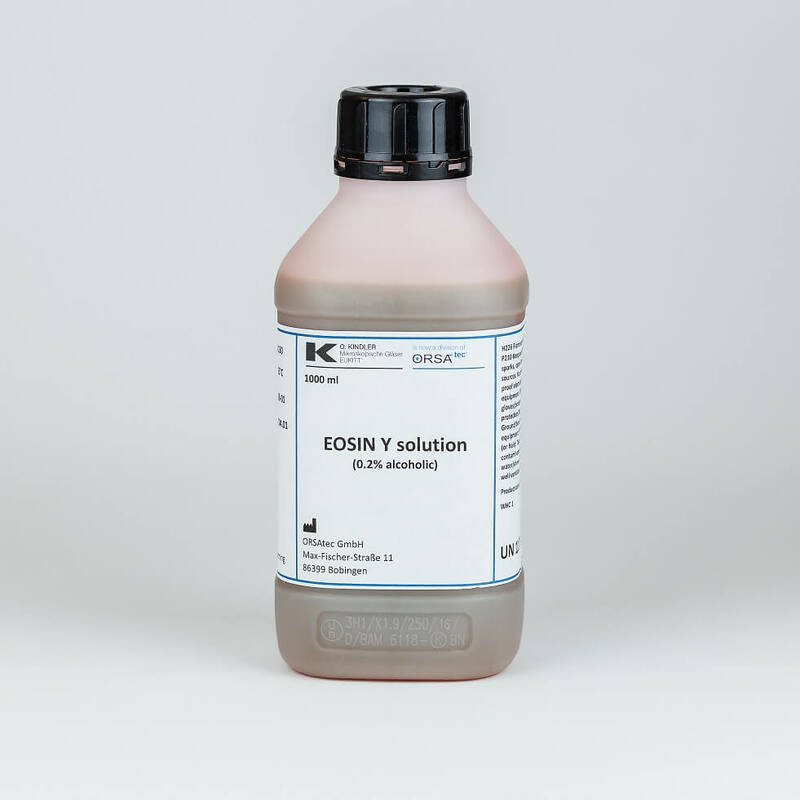 This solution does not need to be filtrated prior use and the dye is oxidized in a controlled manner, which renders the results robust and allows a brilliant differentiation of the stained structures. Nuclei are intensive blue, cytoplasm is grey-blue. 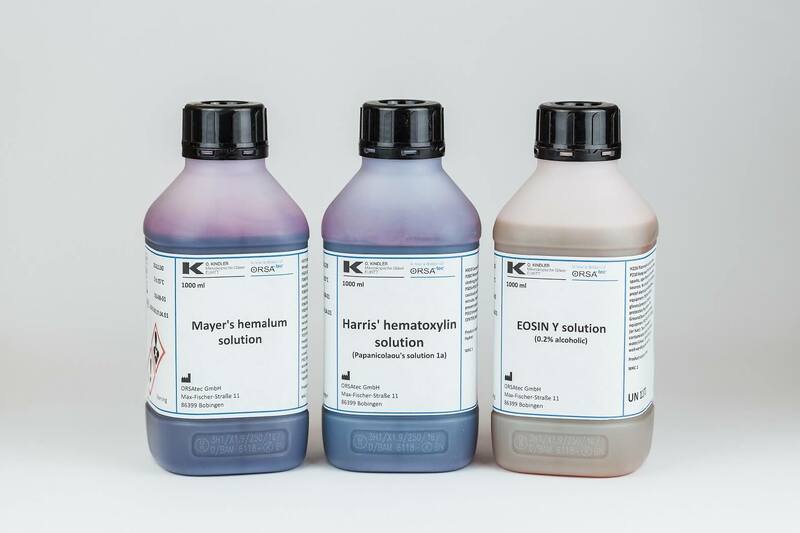 A ready-to-use solution that can be used for routine staining in the hematoxylin-eosin staining process (H&E) of sample material of human origin. Due to the hematoxylin solution, the nuclei will appear blue to dark violet in color and the Eosin Y solution will stain the cytoplasma and intercellular substances red-orange.